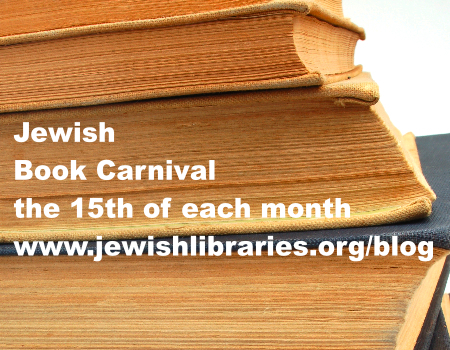 The Whole Megillah once again hosts the monthly Jewish Book Carnival! At Life Is Like a Library, Kathe Pinchuck blogs about the people and books she encountered at Book Expo. Find a book review of Children of the Ghetto: A Study of a Peculiar People, by Israel Zangwill at Lorri M. Writings and Photography. The Book of Life offers a podcast interview with Sheri Sinykin, author of the picture book, Zayde Comes to Live. On My Machberet, Erika Dreifus writes about Norbert Hirschhorn’s To Sing Away the Darkest Days: Poems Re-imagined from Yiddish Folksongs. Claire Datnow of Media Mint Publishing blogs about Contemporary Holocaust Fiction | Historical Novels | Media Mint Publishing and Munk Polish Holocaust Movie | Historical Novels | Media Mint Publishing. This entry was posted in Book Reviews, Uncategorized and tagged Barry Deutsch, Book of Life, children of the ghetto, Erika Dreifus, israel zangwill, Jewish Book Carnival, Jewish book reviews, jewish comics, Kathe Pinchuck, life is like a library, My Machberet, sheri sinykin, steve bergson, The Whole Megillah, zayde comes to live. Bookmark the permalink. What a nice and diverse compilation of posts! Thanks for hosting.